Enroute Serengeti Safari park from Arusha you can halt for one night at The Gibb’s farm. For me this was One of my favorite weekend getaway from Arusha. Originally built by the German settlers in early twenties the farm is a perfect glimpse into responsible African tourism. It is named after Jim Gibb who bought this farm in late 40s and settled here with his wife Margaret. In 1972 it was converted into a lodge. There is no road once you divert from the highway. A Big tree, over 100 years old welcomes you at the entrance of Gibb’s farm. 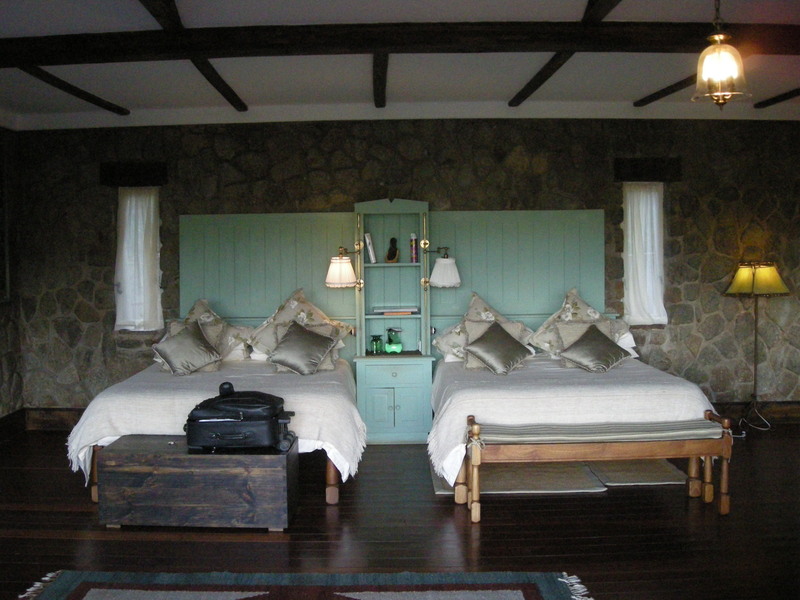 The place still retains its colonial architect, maintained with good taste 20 cottages offer you picturesque view of the rolling hill near Ngorongoro Crater. Blessed with flora and Fauna you find multiple varieties of flowers and birds here. The wooden cottages are large and spacious overlooking 10 acres of farm land which is used to cultivate local vegetables and 50 acres of coffee plantation. 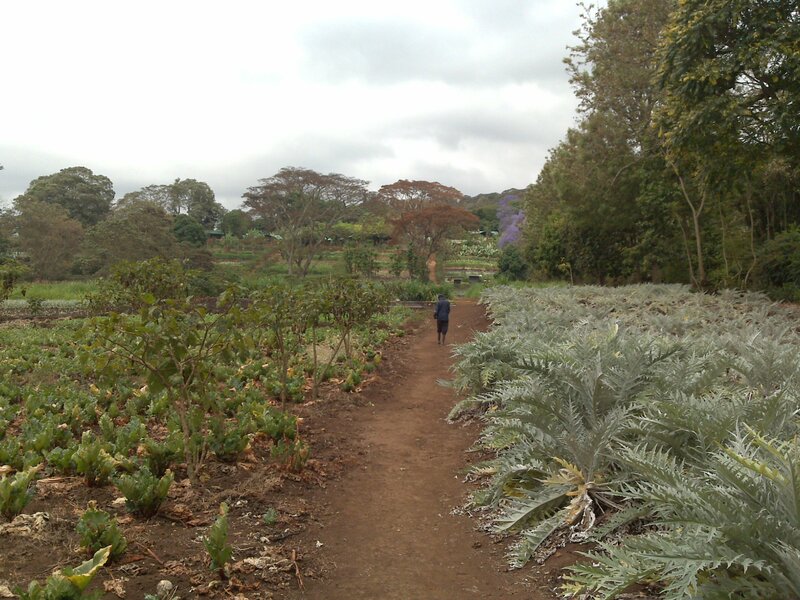 Everything that you consume during your stay comes from this farm including the coffee. Well maintained organic garden also serves as a favorite spot for many travelers like me who are orientated by a naturalist. I was relishing the freshly baked tea cake with some freshly brewed coffee when John, the resort manager, joined me and offered to take me around the lodge. He showed me the African Masai Women who were plucking the salad leaves for my dinner that night. Inside the in-house piggery, pigs were slaughtered for the Pork chops, the main course, for the night. The place was calm and as the dusk stretched to meet the night sky it turned black with star-studded twinkling sheet above my head. African skies are the best to watch in the night. Every star is crystal clear. To immerse well in the African life, a documentary on lions was played in the common room. While I watched it along with other travelers, kids were playing games in the adjacent room and couples were enjoying the cool ambience outside the garden amongst night sounds of cricket and frogs. Three course meal was served in the restaurant accompanied with south african wines selection. I had not eaten such fresh food for a while. With a satisfying stomach I reached my cottage and read some books pre placed on my reading table on African wildlife. Cradled in the quite yet whispering moments I slept like a child with an excitement to wake up to fresh breakfast next morning. Forest Clinic inside the farm stores many medicines made up of herbs and roots from the forest. 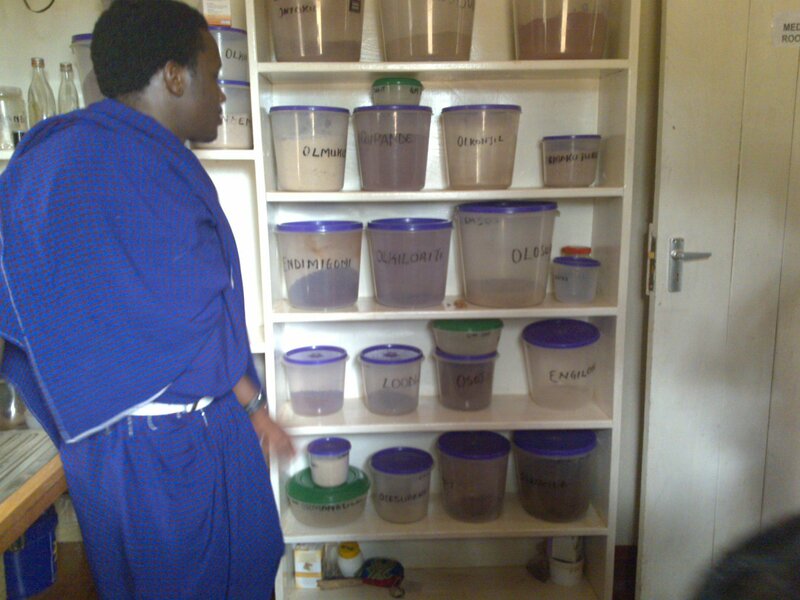 Masai doctors identify these herbs and use them to cure all types of diseases. 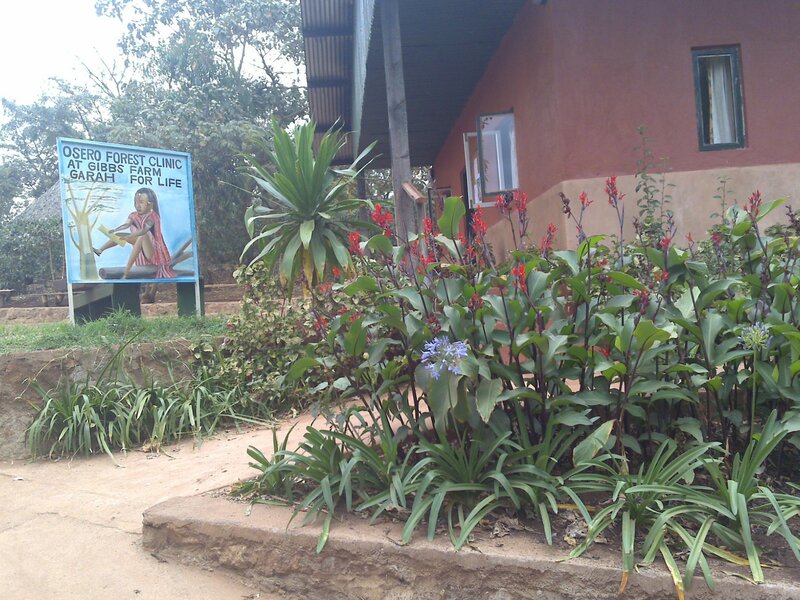 The clinic inside the farm is open to the guests. 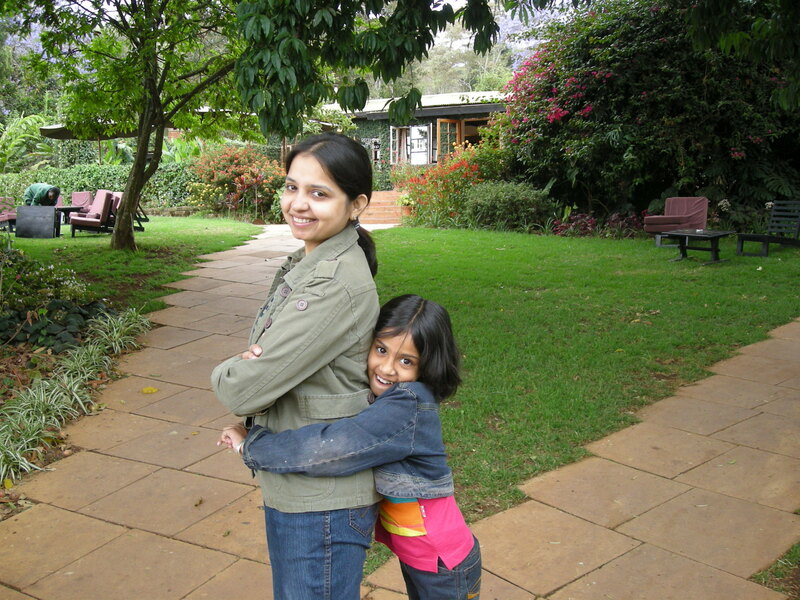 In the open garden of Gibb’s farm with my travel partner, my angel Shruti who has been traveling with me from the age of three.